Oscar-winning actress and equality advocate Meryl Streep was the talk of social media on Monday because of a photo connected to her upcoming project on the women's suffrage movement. Streep will portray political leader Emmeline Pankhurst in the British film, Suffragette, scheduled for release in the U.K. later this year. Photos of an Emmeline Pankhurst quote on Meryl Streep's Suffragette shirt caused an uproar because it said: "I'd rather be a rebel than a slave." While the wording was meant to inspire women to continue fighting for the right to vote, the connection to slavery and racism for American audiences made the photo a complete misfire. Streep and other Suffragette cast members appeared on the cover of Time Out London's Sept. 29 issue to promote the upcoming movie. Streep and her three female co-stars all wore the same white T-shirt with the Pankhurst quote printed in bold black lettering. 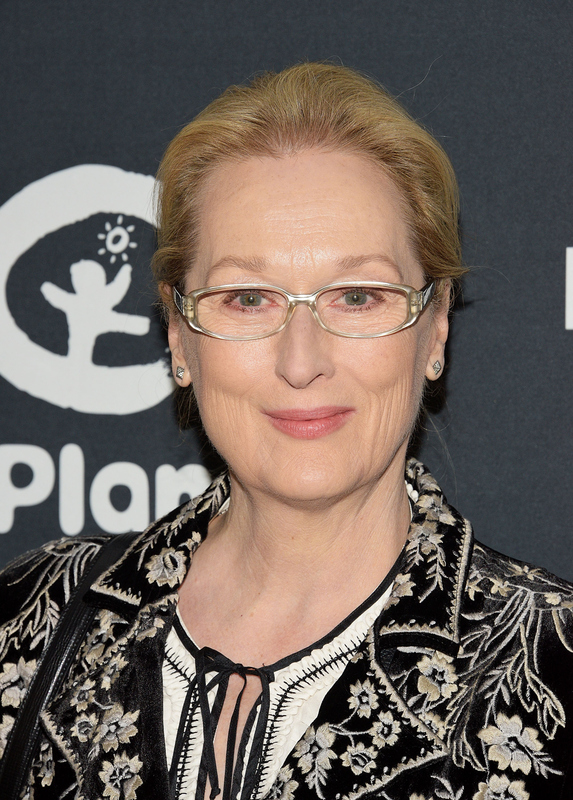 Streep herself talked to Time Out about her connection to the feminist movement, oddly distancing herself from the term and saying that she considered herself a humanist in favor of a "nice easy balance." Though Streep has called out the underrepresentation of women in film and been a staunch advocate of equality overall, ignoring the double-meaning of Pankhurst's words evoked a deeply held divide within the feminist movement. I know that women, once convinced that they are doing what is right, that their rebellion is just, will go on, no matter what the difficulties, no matter what the dangers, so long as there is a woman alive to hold up the flag of rebellion. I would rather be a rebel than a slave. Those familiar with Pankhurst might have made the connection, but some American readers wondered why Streep would choose to wear a shirt with the racially-charged terms "rebel" and "slave." What's even more unfortunate is that — as one of the most important figures in the British women's suffrage movement — Pankhurst has given the world a litany of powerful quotes on why female equality is critical. These seven quotes span Pankhurst's famous speeches, essays, and books — and any one of them could have supported Streep's own considerable history of advocacy on equality issues.